Spread around the jungle outside the town of Siem Reap, Cambodia, you will find the ruins of the ancient Angkor temples. They are considered as one of the three most important cultural attractions in the world and are also on UNESCO’s World Heritage list for cultural sites that should be preserved. 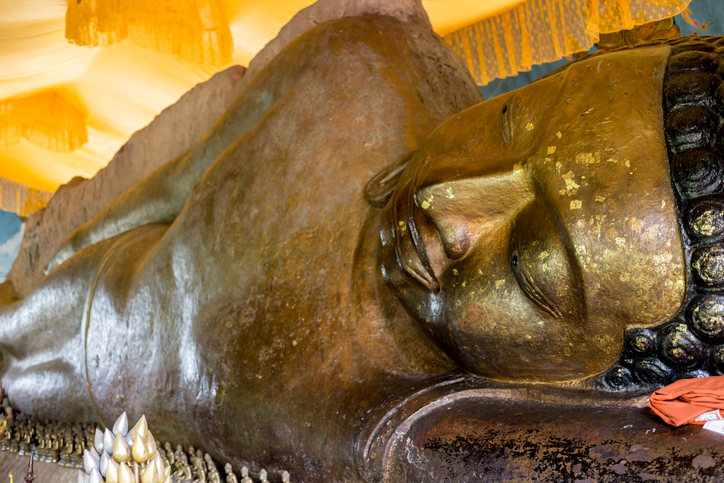 Many people who have never been to Angkor believe that it is only one monument. However, Angkor was the capital of the mighty Khmer Empire from the 9th to the 14th century. From here a dynasty of Khmer kings ruled one of the largest and most sophisticated kingdoms in the history of South-East Asia. 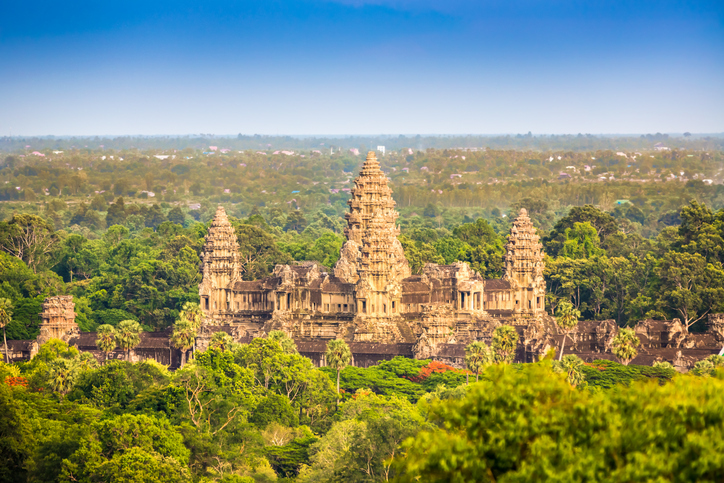 The construction of the ancient capital lasted for more than 300 years leading to several changes in the architecture and also religious movements from Hindu towards Buddhism, which is still followed by more than 90 percent of the Cambodian population. Covering an area of 250 km2, and with more than 1000 archaeological sites, Angkor was made up of hundreds of buildings. Because of their links to the Gods, only the temples were considered good enough to be built in stone. 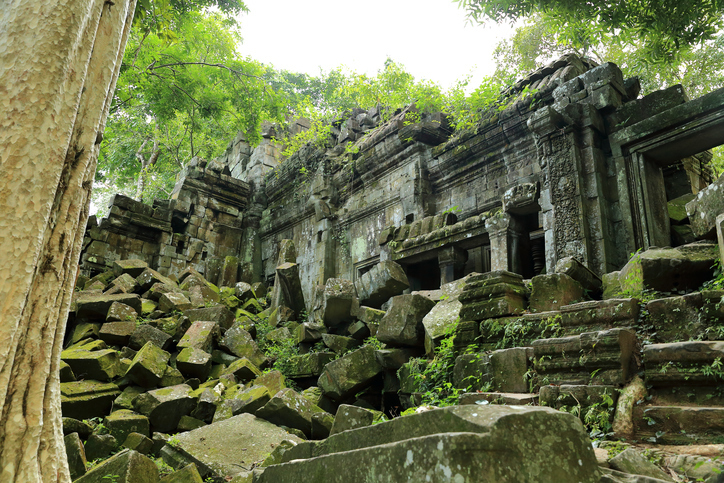 The wooden structures have perished over the years, leaving only the Angkor temples to be seen today. The Siamese made repeated raids on Angkor in the 14th century, and battles continued for almost another century. After a final siege in 1431, the Khmers gradually shifted their capital southward to Phnom Pehn. 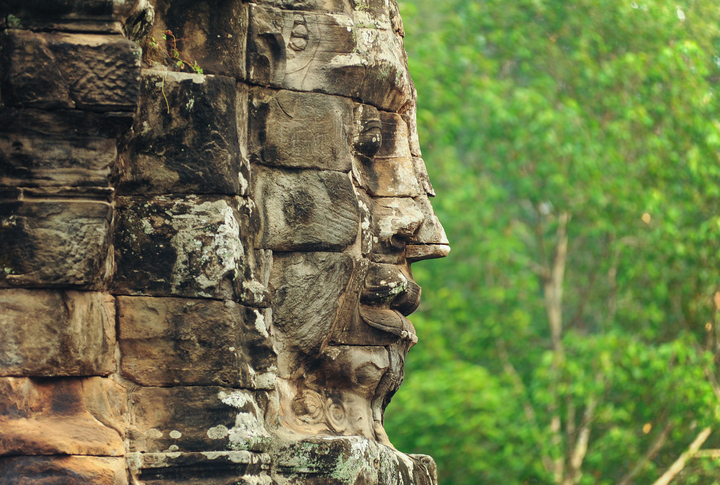 Angkor was more or less abandoned to the jungle, and was pretty much forgotten in the jungle until the French explorer Henri Mouhot, in 1860, brought public attention to what many people today consider to be the eight wonder of the world. 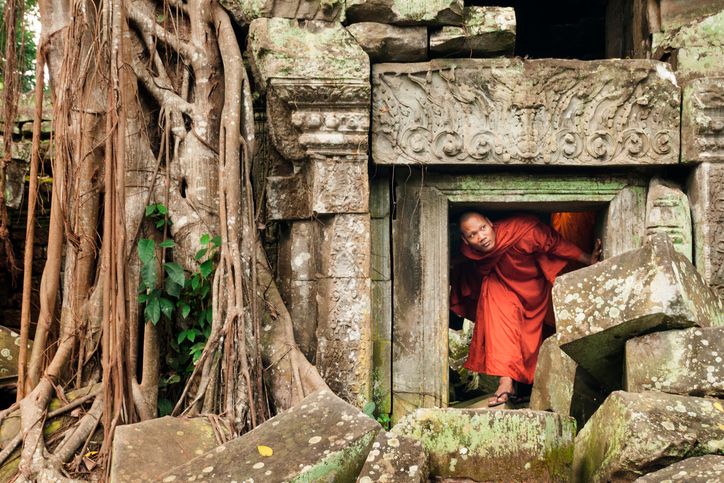 In Cambodian, Angkor means town or city, and Wat means monastery or pagoda. Angkor Wat was built in the reign of King Suryavarman II, in the early 12th century, and was dedicated to the Brahmanic trinity: Vishnu, Siva and Brahman. Angkor Wat is perhaps the most magnificent and undoubtedly the most famous of all the temples in the old Khmer capital. With its perfection in composition, balance, proportions, sculptures and bas-reliefs it presents itself as the jewel of the capital. Literally translated Angkor Wat means ‘the city which is a temple’ and it is the largest religious structure in the world. It covers an area of 500 acres, its main tower is 65 meters high and is surrounded by a defensive moat 190 meters wide. It took nearly 30 years to build in the first half of the 12th century under the kingship of Suryavarman II (1113-1152). Built in the late 12th century, under the Buddhist reign of Jayavarman VII, the Bayon is perhaps the most enigmatic of the temples built in that era. It vies with Angkor Wat as a favourite among visitors. A Buddhist temple built by King Jayavarman VII in the middle of the 12th to the early 13th century, Ta Phrom is well worth an extended exploration of its dark corridors and open plazas. Flocks of noisy parrots flit from tree to tree adding to the jungle atmosphere. Built in the 10th century, this temple was constructed by a Brahmin counselor under the powerful King Rajendravarman and then later under Jayavarman V. It displays some of the finest examples of classical Khmer art. The walls are densely covered with some of the most beautiful, deep and intricate carvings of any Angkorian temple. The temple itself is small in size and was carved out of pink sandstone. From the 11th to the 13th century, this temple was of Hindu and Buddhist origin. Kbal Spean literally means “the head of the river.” This is one of the the two rivers of a thousand linguas, made up of unique lingas and linga stands chiseled into the riverbed of Siem Reap River. It was believed that the lingas spiritually “fertilized” the water that fed the eastern Baray and irrigated the rice fields below. The other river of a thousand lingas is at Phnom Kulen. This is where the 500-year Angkorian period began. Built in the 9th century by the Hindu King Jayavarman II, it is a mountain on which he initiated the “God-King” linga cult in 802AD. He soon moved his capital to the region referred to as the Roluos Group, several sites including hundreds of linga stands in the Siem Reap River. 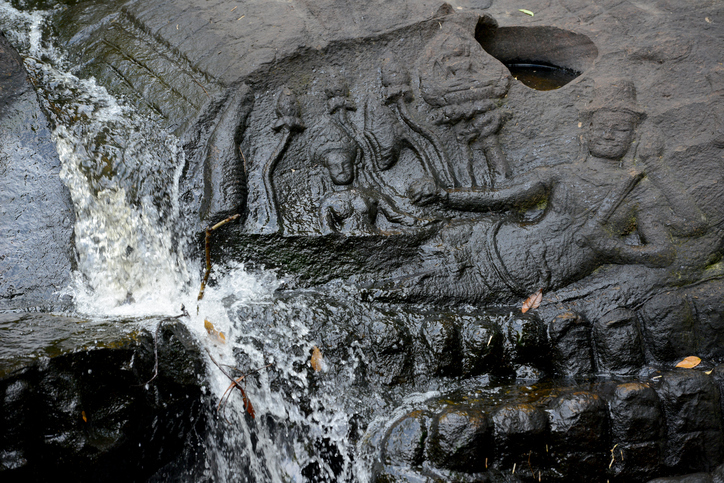 The site of Phnom Kulen also has waterfalls and an active pagoda. 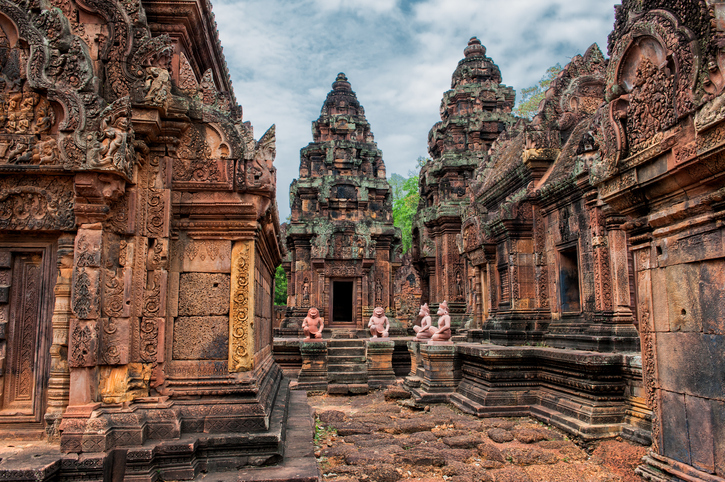 Built in the early 11th century by the Hindu King Suryavarman II, this sprawling temple is largely overrun by the returning jungle. Constructed in the distinct style of Angkor Wat, Beng Melea preceded and may have served as a prototype of sorts. Very few carvings or bas-reliefs are evident and may never have existed. When the temple was active, the walls may have been painted or covered with frescoes. In its time, Beng Melea was at the crossroads of several major highways that ran to Angkor Wat, Koh Ker, Preah Vihear (in northern Cambodia) and northern Vietnam. Beng Melea is located 75km east of town and requires a two and a half hour journey to reach. 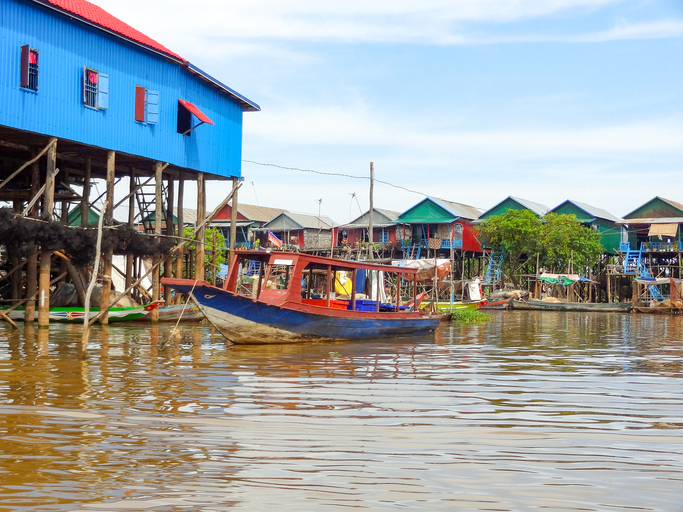 Tonlé Sap Lake is one of the largest freshwater lakes in the world, cyclically swelling from 2700km² in the dry season to 16000km² during the monsoon. Floating fishing villages dot the semi-submerged forest that line the rim of the lake, offering an excellent place to see lakeside rural Cambodia and a unique ecosystem rich with birds and other wildlife. Boat trips through these areas run for two hours. The lake is 35 minutes south of Siem Reap.